Mystery Science Theater 3000 is one of the most underrated series in television’s modern history. The series, which originally ran from November 1988 to August 1999, was on the surface a show that poked fun at the best of the worst of Hollywood’s history. On a deeper level though, it proved a show that actually celebrated that history in its own playful way. It is because of MST3K that so many then much younger audiences become the lovers of film that they are today. This critic is among that mass of cinephiles, or lovers of cinema. After its cancellation in 1999, it became relatively difficult to find the show anywhere, including online. Thanks to the efforts of Shout! Factory though, the series has been kept alive through an ongoing series of box sets, each containing four episodes from the series’ eleven-season run. And today, Shout! Factory released what is just the latest in that ongoing series of box sets in the form of Mystery Science Theater 3000 Volume XXXII. 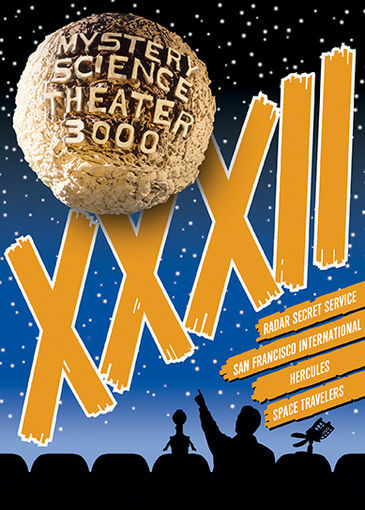 Volume XXXII is yet another joy for any MST3K fan or film buff in general. The central reason for this is of course the films that were chosen for this collection. Shout! Factory has pulled four more best of the worst flicks. They are flicks that are so bad that they’re great even though their cast and crews would rather they remain forgotten. Another reason that that it is another great set is the collective segments that break up the movies. The timing of Joel, Mike, and their cast mates make for plenty of laughs within themselves. And last but not least worth noting is the bonus material included with the movies. Cast member Frank Conniff offers new introductions to two of the movies. There is also a pair of background pieces on Space Travelers and Hercules that audiences will enjoy along with a pair of bonuses that focus more on the show. All of these bonuses by themselves offer plenty of enjoyment for MST3K fans of all ages. Together with the movies chosen for this set and the live action segments that break them up, MST3K Volume XXXII proves itself one more great addition to the collection of any movie buff and any MST3K fan out there today. One hundred ninety-seven episodes and eleven years. That is how long the cult hit series Mystery Science Theater 3000 ran in its original broadcast. Throughout the course of time and those episodes, MST3K offered audiences more laughs than one can even begin to count. One of the reasons that it remained such a laugh riot for so long was its choice of movies and those movies’ associated commentary. That is just as obvious in the series’ latest collection of films. 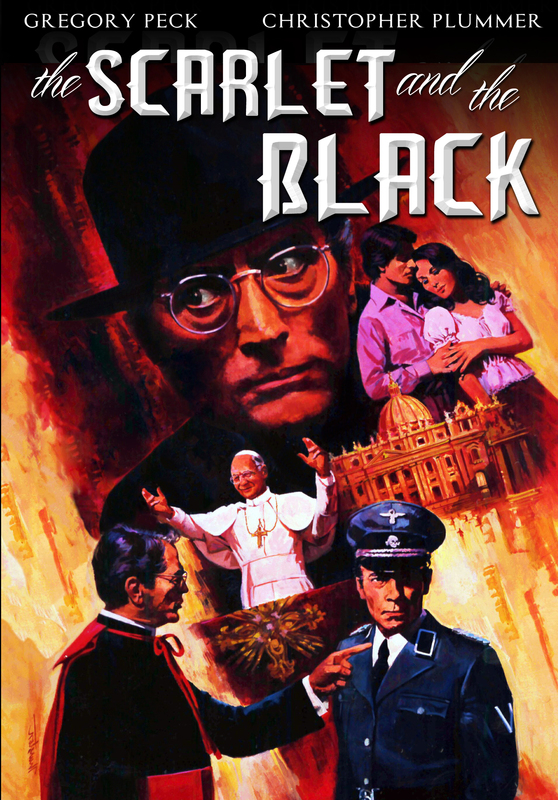 The movies picked for this collection include Radar Secret Service (1950), San Francisco International (1970)—which was the “pilot” for the short-lived series—Space Travelers (1969), and the granddaddy of all Hercules incarnations in the 1958 Italian import starring Steve Reeves. Gene Hackman probably doesn’t mind that Space Travelers is one of his far lesser-known pieces today, considering his body of work. And were he alive today, Gregory Peck would likely feel the same about the movie. Yes, it’s that campy. By comparison, Apollo 13 and every other cheesy space flick that has come along since puts this movie to shame. Yet it’s so bad that one can’t help but watch. By contrast, the 1958 Italian import of Hercules is actually campy I nits own right. But at the same time, it is just as enjoyable as it is campy. It could even be argued that its camp is what makes it so worth the watch, again supporting the central argument of why this collection’s movie selection makes it another must have for fans of the series. Radar Secret Service is just as campy both in its story and in its presentation. The story sees a group of government agents tracking a shipment of stolen uranium through the use of (yup) radar. The acting is just as cheesy as the story. It is pretty much on the same level as B-movie king Roger Corman’s classic sci-fi flicks. Again, that’s not necessarily a bad thing. It is os cheesy that audiences can’t help but laugh at it, in turn making audiences want to keep watching the movie. Still not enough? How about the standard cheese factor of the original Hercules (1958). The movie features one of the greatest of the demi-gods going on a quest for the mythical golden fleece. There is plenty of eye candy for the ladies. And for the guys, there is even an island populated by nothing but women that allegedly mate with men who come there and then kill them. And then there’s the over-the-top action of San Francisco International that takes place at a San Francisco airport. Of course as dumbed down and cheesy as that seems, there is plenty of material out there today that is even less intelligent offered to audiences. Keeping that in mind, it actually makes the likes of San Francisco International and the rest of this set’s movie’s all the more entertaining and important to its enjoyment. The movies that were chosen for MST3 Volume XXXII are each equally entertaining in their own right. By themselves, they will offer their own share of laughs for both long-time fans of the series and for classic movie buffs alike. Of course by themselves, the movies can only offer but so many laughs. The segments that break up the movies (and the riffing during the movies) add to the laughs. Audiences will laugh uproariously when Crow and the rest of his robot buddies try to bring Mike back to himself in the skits used between Radar Secret Service. Their attempt to re-create his high school class reunion is a prime example of how the show’s mid-movie skits will leave audiences in stitches. Tom Servo’s speech between segments of Hercules about the ability to line up the stars to make any constellation is just as hilarious. It is so funny because it’s true. For eons, humans have passed down the knowledge of certain star clusters being specific patterns. Yet there are so many stars out there that it would be just as easy to take the same groupings of stars, line them up with other star groupings and make wholly different constellations. After all, who is to say that there couldn’t be a “sandwich” constellation? Audiences that watch this episode will get that joke. Speaking of jokes, the riffing during the movies expertly complements the mid-movie segments. In only a matter of minutes in Radar Secret Service, Mike and company take playful jabs at Harrison Ford, the classic 1975 sitcom Welcome Back Kotter, and even breakfast cereal Golden Grahams. If that’s not enough, there are jokes at the expense of the late, great Judy Garland and famed director John Sturges in Space Travelers (a.k.a Marooned). The writers playfully jab at Sturges that he had done much better work than Space Travelers, showing just how cheesy and over-the-top it was. There are plenty more jokes and riffs at which audiences will laugh uproariously throughout this set’s movies. They come so fast and furious that the only way for audiences to catch and fully enjoy them all is to pick up MST3K Volume XXXII. Regardless of whether for the noted skits and riffs or for others not noted here, audiences will agree in purchasing MST3K Volume XXXII that the laughs generated by each and every skit and joke more than make this collection of classic flicks a must have for any of the series’ fans and classic movie buffs alike. 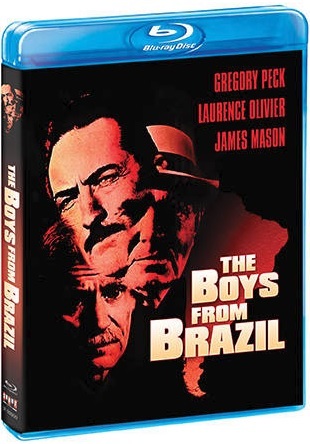 The mid-movie skits and riffs offered up throughout the course of each of this set’s movies are a laugh riot. Between the zany skits, the jabs at all things pop culture, and the jokes in general, many audiences might find themselves laughing so hard that they cry tears of joy. That is thanks to the talent of the writers and to the choice of movies for this collection. For all of the enjoyment brought by the movies and the collective riffs and skits, they still are not all that makes this collection so fun for fans and movie buffs alike. The bonus material included with the movies puts the finishing touch on the set, proving without a doubt not only why MST3K Volume XXXII is a must have for fans and movie buffs alike, but also that this set is one of the year’s best new box sets for grown-up audiences. This time out, Shout! Factory has included a history on Space Travelers and its legendary director John Sturges and a history on Hercules producer Joseph E. Levine. There is also a fun little look at Frank and Trace’s trip to the U.K. for a sci-fi fan fest across the pond, and an equally entertaining piece focusing on the history of “Satellite News.” Space Travelers’ feature centering on director John Sturges spends a little bit of time going into detail on his body of work that included huge hits such as The Great Escape, The Magnificent Seven, and The Old Man and the Sea just to name a few. It compares those works to Space Travelers and its value versus that of this much bigger hits, explaining that is how the riff in the movie came to be. There is also an interesting point/counterpoint in whether or not its heads should have stuck with the title of Marooned or if going with the title of Space Travelers was better. For anyone that is a true lover of movies, this discussion in itself is sure to bring about plenty more discussions. Hercules’ feature centering on producer Joseph E. Levine is an eye-opener for cinephiles of all ages. It points out the movies that were brought to American viewers thanks to his efforts. As is noted in the feature, if not for Levine’s efforts American audiences might never have gotten to see the 1958 take of Hercules or another major motion picture in the form of Godzilla and other major foreign language films. Yes, Levine was even responsible for importing Godzilla. He is also the man responsible for bringing to audiences such hits as The Graduate, The Producers (go figure), and Darling among so many others. While it is not an extensive profile, this feature on Joseph E. Levine is still an important addition to MST3K’s latest collection of movies. It is just as important for any film history buffs, too. This feature and the piece on Space Travelers’ history are the central bonus features included in this set. That is not to discount the video post card that is Frank and Trace’s trip to London. or the “Satellite News” feature included in San Francisco International. Frank and Trace’s overseas trip serves to show the continued popularity of MST3K not just in America but around the world. That by itself is quite the statement. And speaking of statements, such a statement partnered with each and every other element noted here shows exactly why MST3K Volume XXXII is a must have for any of the series’ fans and for any classic movie buff. What’s more, everything noted here proves why this box set belongs on every critic’s list of the year’s best new box sets for grown-ups come December.